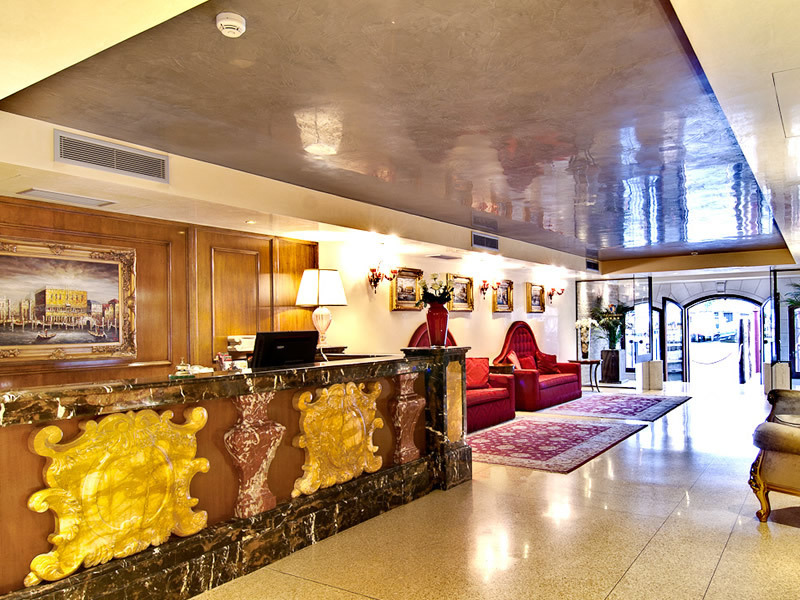 The Hotel Pesaro Palace is a deluxe 4 star hotel in the centre of Venice near Venice Casino and the Rialto Bridge. 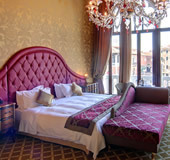 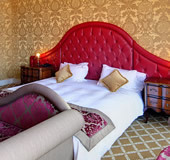 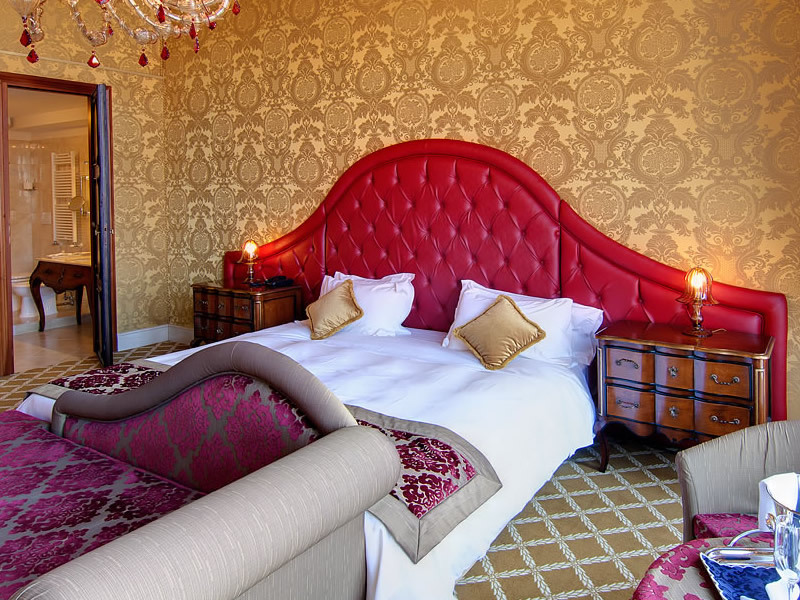 ...for those who wish to sample the grandeur and comfort of Venetian aristocracy. 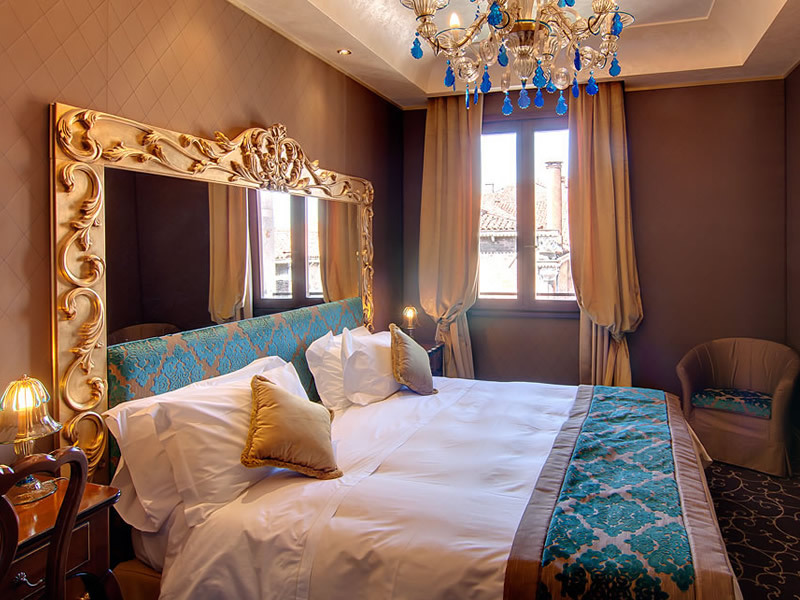 Decorated and furnished in striking bold colours with quality fittings, rich fabrics and Murano glass chandeliers typical of Venetian affluence each room is the epitome of luxurious comfort. 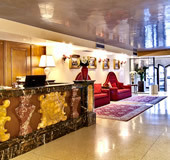 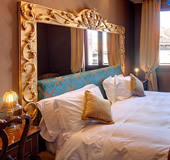 Additionally, the facilities of the hotel match the high quality of the rooms with an ornately decorated lobby complete with piano in which to relax, a large breakfast hall serving a complimentary sweet and savoury buffet breakfast and a charming internal furnished courtyard and garden in which to enjoy a glass of cool wine in the heart of Venice. 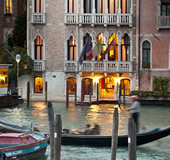 ...waterways with the Ca’ d’Oro water bus stop being next to the hotel. 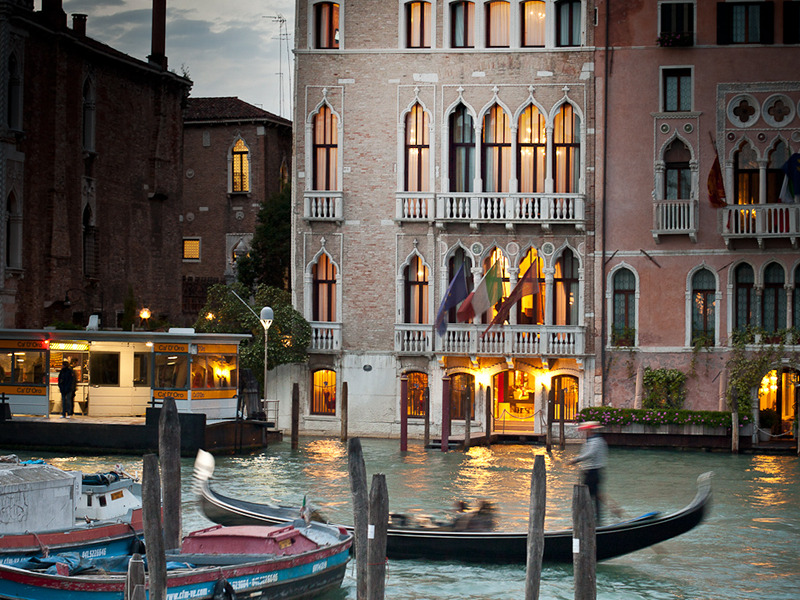 Indeed, the Rialto Bridge is just 5 minutes walk away whereas the awe-inspiring, Bridge of Sighs and Ducal Palace situated off St Mark’s Square is just a short 15 minutes stroll from us. 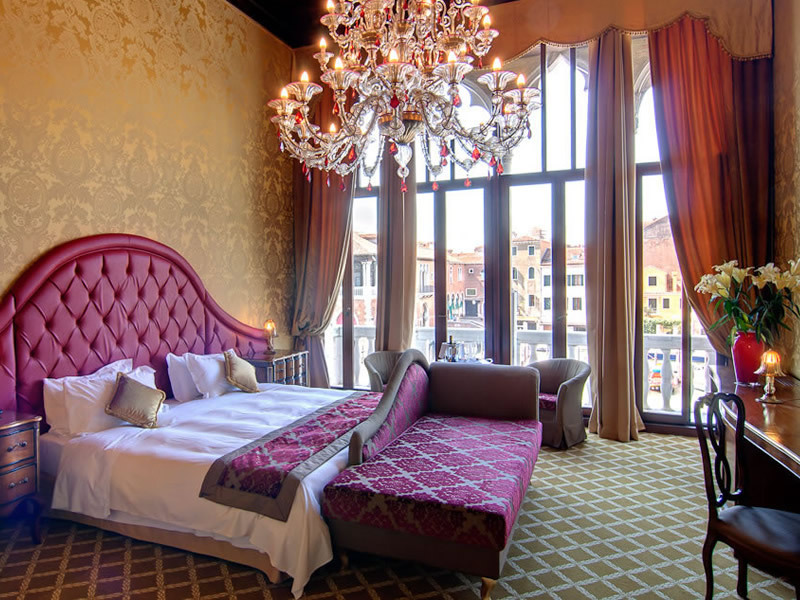 If your are partial to the odd flutter and looking for a 4 star hotel near Venice Casino then the Shadar Pesaro Palace is ideal for you being only a few minutes walk from the Casino.